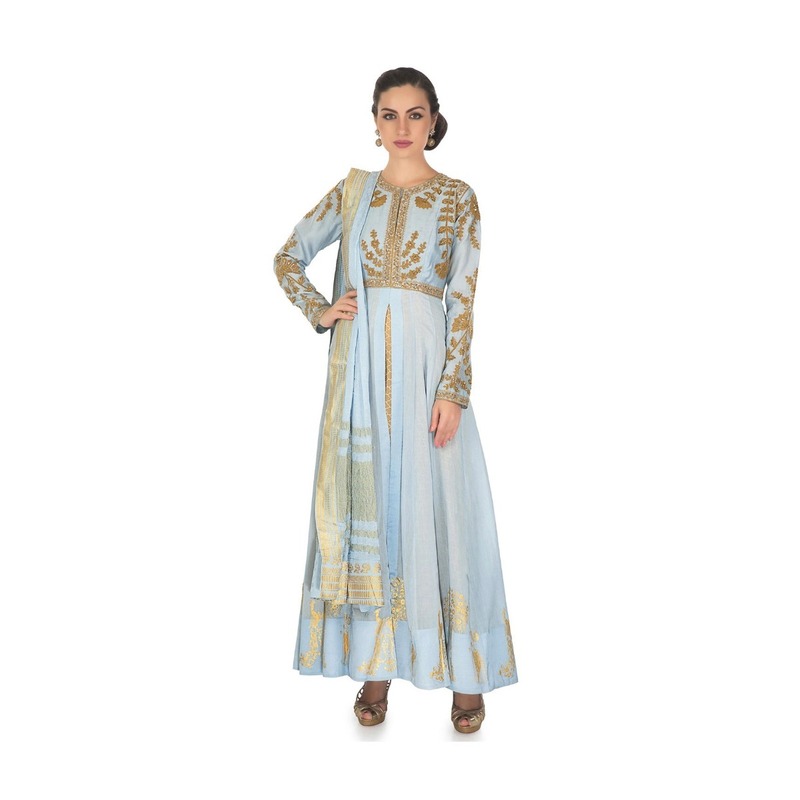 Turq blue anarkali suit with under layer in printed cotton featuring in cotton silk. 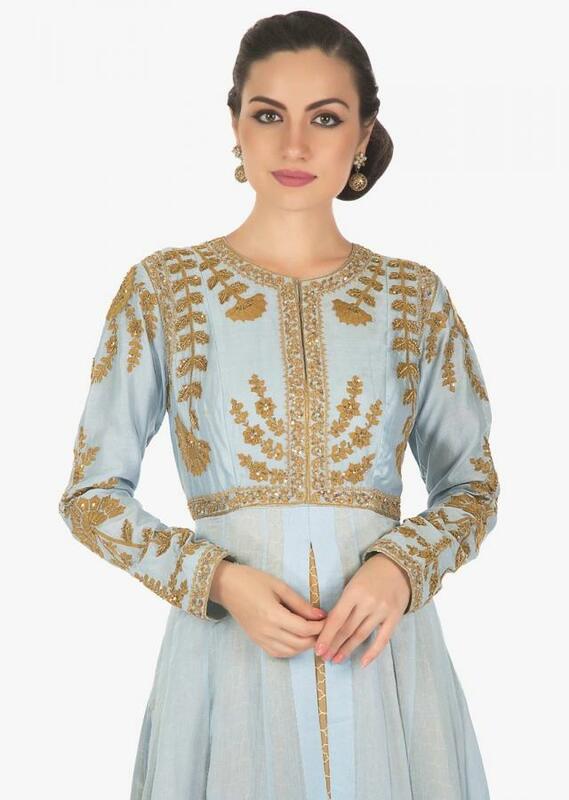 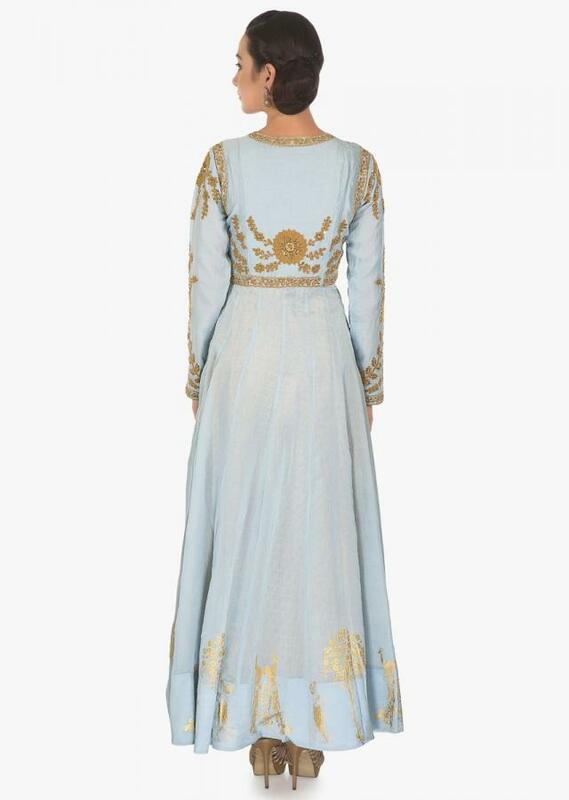 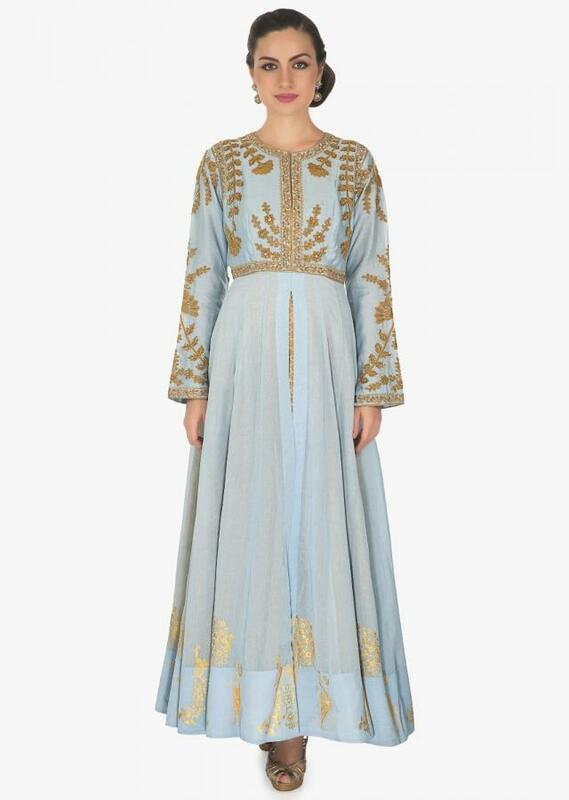 Its embellished in embossed thread embroidery along with sequin. 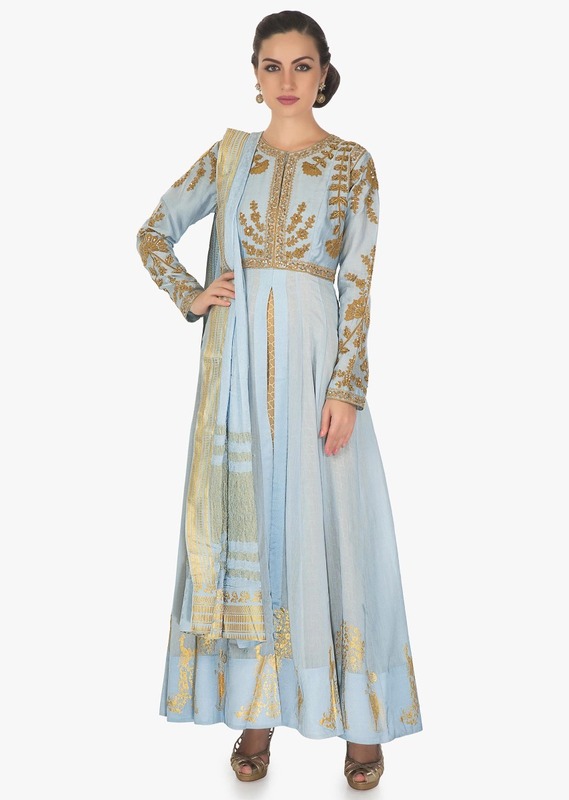 Matched with printed lycra churidar and crush dupatta.